I only recommend products and services I have personal experience with, but it’s still important to me that I be fully transparent and let you know about my relationship with some of the products or services I reference on this site. The books linked to Amazon are all ones I have personally used in the classroom and for which I offer free educational resources. I consider books “free” because they may be checked out of the library. Also, I live in the US. According to the Federal Trade Commission’s Guides Concerning the Use of Endorsements and Testimonials in Advertising (16 CFR, Part 255) I need to disclose my affiliate relationships. 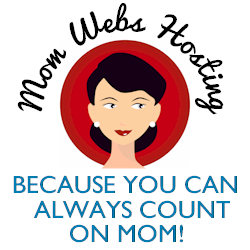 I am an affiliate of Mom Webs because I use their services. Whenever I use an affiliate link on my site, I mention so on that page or blog post. But I almost never do so! Each year I participate in BC STACK, a great technology-blogging-and-author deal. I am an affiliate and earn a tiny bit of money from any stack sales I make. If you have any questions about any of this, feel free to contact me.